Employees are the key to success only when they are satisfied, motivated, when they find growth and opportunities in the working environment. Following listed points go a long way to keep the employees motivated. Provide the employees what they want and need to the best extent possible. Frequently communicate with the employees. Proper evaluation and assessment of employees’ performance. Keep employees engaged in constructive work related to the organization. Provide necessary education and training for realizing success. Generate mutual trust between the management and employees. Special focus on high-potential employees. Be creative to avoid downsizing. Implement incentive programs to perform better. A recent survey shows that organizations should strive to create a great place for great people to do great work. Hence, there is a need to understand what motivates whom. Employees are primarily motivated by two important factors - organizational culture and compensation package. As a manager or an employer, it is always difficult to decide which motivational factors motivate employees. Following pointers might help in this regard. 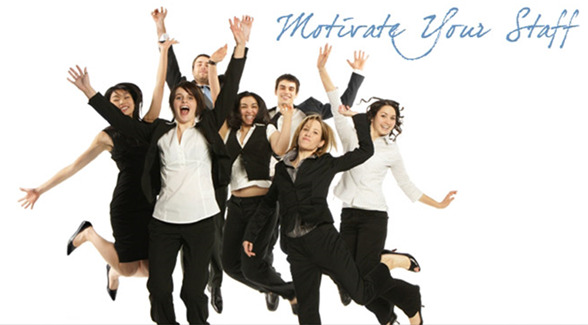 Make a preparatory list of some things which motivates each of your employees. Have each of your employees note the factors that motivates them personally. Choose those factors that are acceptable to both the employee and the organization. Conduct one-on-one meeting with each employee and reward appropriately at the right time. Provide vital demands of the employees such as paid medical leaves, flexible working hours, etc. Empower the employees where they can excel. Conduct periodical and flawless performance appraisal system. Celebrate achievements with the employees. Last but not the least, make the employees feel at home when they are at work. Do privacy issues outweigh the important benefits of Aadhaar Card? India- China border tension - Is it a sign of a war? Is it possible to solve Cauvery water dispute between Tamilnadu and Karnataka? Is Saudi Arabia modernising with the recent reforms? Road Policy- how it may harm India? Sexual harassment in workplace causes and remedies. Suggest improvements in our education system? What are the positive and negative impacts of GST? What is the cause for decrease in the forest cover in India? Why India is not developed as a great scientific power? Why people trust 'Godmen' in India ? with the introduction of GST? This image has caused a great sensation. The almost 300 likes and countless times that have shared this publication demonstrates that there is a new paradigm in leadership. For many, it is a reflection of vertical leadership, that is, of the typical structure that has developed during the twentieth century around pyramid schemes. However, globalization, the Internet and social networks have allowed the emergence of a new way of seeing leadership. Vertical leadership is still alive We must start from the old structures if we want to understand the change that is taking place nowadays. The concept of management arises from the industrial revolution. Are Hotel Workers Treated Equally?